In the United States, aluminum cans are probably the most recycled item. An aluminum can that you toss out today could end up back on your grocery shelf in just less than two months. Recycling one aluminum can help save enough energy to run your television for three hours. Why is recycling aluminum so important? If left in a landfill, a single aluminum can could stay in its present form for up to 500 years. There are over 80 billion aluminum cans used each year around the world. Many years ago aluminum was actually more valuable than gold. It’s also one of those elements that can be recycled over and over again. Reading your newspapers on line or on a tablet is a good way to save paper. Half 1 million trees are cut down just to produce the Sunday newspapers each week. You could save 75,000 trees by just recycling and days worth of New York Times newspapers. If we recycled all newspapers, then we could save over 250 million trees each year. The average person uses at least seven trees each year through wood, paper and other products made from trees. That means over 2 trillion trees are cut down and used throughout the course of a year. Most people throw away paper but it adds up to around 680 pounds for each person. 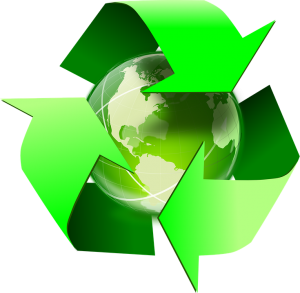 Every 2,000 pounds of paper that is recycled can save 17 trees, 350 gallons of oil and reduce landfill space. Another important recycling fact to know is the diversion rate. That’s the percentage of how much stuff is kept out of a landfill. Some cities are aiming for a zero waste. That would equal 100% diversion rate. That’s the type of gold that needs to get everyone on board. A company like Junk King Chicago West is already ahead of the game with a 60% diversion rate. This is a company that makes a point of donating or recycling the bulk of what they collect every single day. That is translated into tons of materials being kept out of landfills. If you’re looking for a way to extend your recycling program, then count on Junk King Chicago West to be your perfect recycling partner. This entry was posted in Carol Stream Junk Removal and tagged junk king, junk removal, recycling on November 26, 2017 by Junk King. Last updated November 26, 2017 .